The truth is that you shouldn’t be scared of security. You can perform important checkups in a matter of minutes and your online life will be much safer because of them. Here are ten vital checks you can work into your schedule — do these every once in a while and you’ll be ahead of 90 percent of people. Everyone has clicked “remind me later” when prompted about an update. But the truth is that applying updates is one of the most important ways How & Why You Need To Install That Security Patch How & Why You Need To Install That Security Patch Read More to keep your devices secure. When developers find a vulnerability in their software — whether it’s an operating system or app — patching it is how they fix it. By ignoring these updates, you open yourself up to vulnerabilities unnecessarily. For instance, the majority of victims in the May 2017 WannaCry attack The Global Ransomware Attack and How to Protect Your Data The Global Ransomware Attack and How to Protect Your Data A massive cyberattack has struck computers around the globe. Have you been affected by the highly virulent self-replicating ransomware? If not, how can you protect your data without paying the ransom? Read More were running out-of-date versions of Windows 7. Simply applying updates would have saved them. This is one of the reasons why Windows 10 automatically installs updates Pros & Cons of Forced Updates in Windows 10 Pros & Cons of Forced Updates in Windows 10 Updates will change in Windows 10. Right now you can pick and choose. Windows 10, however, will force updates onto you. It has advantages, like improved security, but it can also go wrong. What's more... Read More — and most other platforms do, too. On Windows, head to Settings > Update & security > Windows Update to check for updates. Mac users can check the App Store’s Updates tab for the latest downloads. Android and iOS will both prompt you to download updates when they’re available. And when you open a program and see a prompt to update, do it as soon as possible. Don’t forget about other devices, either. Updating your router 10 Things You Must Do With a Brand New Router 10 Things You Must Do With a Brand New Router Whether you just bought your first ever router or upgraded your old one to a new one, there are several crucial first steps that you should take right away to set up properly. Read More , Kindle, Xbox One, etc. will keep you safer using those devices as well. Using strong passwords 6 Tips For Creating An Unbreakable Password That You Can Remember 6 Tips For Creating An Unbreakable Password That You Can Remember If your passwords are not unique and unbreakable, you might as well open the front door and invite the robbers in for lunch. Read More is vital for keeping your accounts safe. Short passwords, passwords you use on multiple websites, and obvious passwords are all easy targets for attack 7 Password Mistakes That Will Likely Get You Hacked 7 Password Mistakes That Will Likely Get You Hacked The worst passwords of 2015 have been released, and they're quite worrying. But they show that it's absolutely critical to strengthen your weak passwords, with just a few simple tweaks. Read More . We recommend using a password manager You Need to Start Using a Password Manager Right Now You Need to Start Using a Password Manager Right Now By now, everyone should be using a password manager. In fact, not using a password manager puts you at greater risk of being hacked! Read More to set up strong passwords that you don’t have to remember. Take this a bit at a time — start by changing your most important passwords like your email, bank, and social media accounts. You don’t need to change your passwords all the time, but you should keep an eye out for major breaches. If you’re affected by a leak, you only have to change one password to keep yourself safe. Tools like Have I Been Pwned? will check for your email address among breach data Are Hacked Email Account Checking Tools Genuine Or A Scam? Are Hacked Email Account Checking Tools Genuine Or A Scam? Some of the email checking tools following the alleged breach of Google servers weren't as legitimate as the websites linking to them might have hoped. Read More . This extends to your phone, too. Don’t use something obvious like 1234 as your PIN, and you should probably stop using a pattern lock Pattern Locks Are NOT Secure on Android Devices Pattern Locks Are NOT Secure on Android Devices Android's pattern lock isn't the best method for securing your device. Recent research has found that patterns are even easier to crack than before. Read More . With insufficient social media controls, you could be unknowingly sharing information with way more people than you think 9 Things You Should Never Share on Social Media 9 Things You Should Never Share on Social Media Be careful what you share on social media because you never know when something could come back and ruin your life. Even the most innocent posts could be used against you. Read More . It’s important to take a few moments to review who you’re sharing information with. On Facebook, visit your Settings page and click Privacy on the left sidebar. Review the settings here to change who can see your posts Facebook Photo Privacy Settings You Need To Know About Facebook Photo Privacy Settings You Need To Know About As with everything regarding privacy on Facebook, managing your photos' privacy settings isn't always easy. Read More , who can contact you, and who can look you up using search. You should also review the Timeline and Tagging tab to change who can post on your Timeline and require reviewing of new posts. For Twitter, visit Settings and click the Privacy and safety tab on the left. Here you can protect your tweets so they aren’t public, remove your location from tweets, disable photo tagging, and prevent others from discovering you. Review our guide on how to make all your social accounts private How to Make All Your Social Media Accounts Private How to Make All Your Social Media Accounts Private Want to keep your social media life private? Hit the link to get a full guide to the privacy settings on Facebook, Twitter, Pinterest, LinkedIn, Instagram, and Snapchat. Read More for full instructions. iOS has allowed users to fine-tune app permissions Boost Your iOS Privacy with These Settings and Tweaks Boost Your iOS Privacy with These Settings and Tweaks We all know that governments and corporations collect information from your phone. But are you voluntarily giving away far more data than you realize? Let's look at how to fix that. Read More for years, and Android has implemented on-demand permissions What Are Android Permissions and Why Should You Care? What Are Android Permissions and Why Should You Care? Do you ever install Android apps without a second thought? Here's all you need to know on Android app permissions, how they've changed, and how it affects you. Read More in Android 6.0 Marshmallow and newer. Whenever you install an app, it will pop up and ask for access to sensitive data like your camera, microphone, and contacts when it needs them. While most apps aren’t malicious and need these permissions to work properly, it’s worth reviewing them at times to make sure an app isn’t taking information it doesn’t need. And in the case of apps like Facebook, the absurd amount of permissions How Bad Are Those Facebook Messenger Permissions Anyway? How Bad Are Those Facebook Messenger Permissions Anyway? You've probably been hearing a lot about Facebook's Messenger app. Let's quell the rumors and find out if the permissions are as bad as they claim. Read More might make you want to uninstall it completely. To review Android permissions, head to Settings > Apps (found at Settings > Apps & notifications > App info on Android 8.0 Oreo). Tap an app and choose Permissions on its info page to review all permissions that app has. Use the sliders to enable or disable any that you want to change. iOS users can access an equivalent menu by visiting Settings > Privacy. Select a type of permission, like Contacts or Microphone, and you’ll see all apps that can access it. Use the sliders to revoke access. While you don’t need to know the exact purpose of everything that’s running on your computer, it’s a good idea to check what processes are active once in a while. 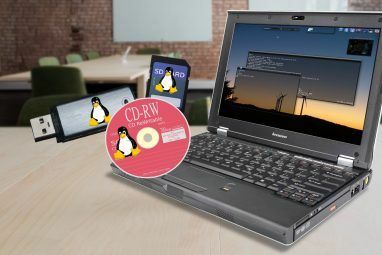 Doing so will also help you learn more about your computer The Ultimate Guide to Your PC: Everything You Wanted to Know -- and More The Ultimate Guide to Your PC: Everything You Wanted to Know -- and More While your PC's technical specs change, its function remains the same. In this guide, we're going to set out exactly what each component does, why it does it, and why that is important. Read More as you become more familiar with its workings. On Windows, click the Start Button and search for Task Manager or use the shortcut Ctrl + Shift + Esc to open the Task Manager. On the Processes tab, you’ll see the apps running in the foreground. Below them are background processes, followed by system processes. Browse through and Google anything you see that looks suspicious How to Handle Suspicious Windows Task Manager Processes How to Handle Suspicious Windows Task Manager Processes CTRL + ALT + DEL aka three-finger salute is the quickest way to add to your confusion. Sorting through Task Manager Processes, you may notice something like svchost.exe using 99% of your CPU. So now... Read More . Just make sure you don’t terminate any vital processes 7 Windows Task Manager Processes You Should Never Kill 7 Windows Task Manager Processes You Should Never Kill Some Windows processes can freeze or crash your system if terminated. We'll show you which Task Manager processes you should leave alone. Read More . Mac users can see running processes with the Activity Monitor What Is Activity Monitor? The Mac Equivalent of Task Manager What Is Activity Monitor? The Mac Equivalent of Task Manager Learn all about Activity Monitor on your Mac and how to use it to check detailed information about your system. Read More . The fastest way to open it is pressing Command + Space to open Spotlight, then type Activity Monitor and press Enter. Have a look through the CPU tab to see what’s running on your machine. While you’re at it, you should also review installed browser extensions How to Clean Up Your Browser Extensions (The Easy Way) How to Clean Up Your Browser Extensions (The Easy Way) If you regularly check out cool extensions, then it is probably time to clean up those add-ons that you no longer want, like, or need. Here's how to do it easily. Read More . Malicious add-ins can hijack your browsing, and even once-innocent extensions get bought out and become spyware 10 Chrome Extensions You Should Uninstall Right Now 10 Chrome Extensions You Should Uninstall Right Now It's hard to keep track of which extensions have been caught abusing their privileges, but you should definitely uninstall these 10 as soon as possible. Read More . In Chrome, go to Menu > More tools > Extensions and disable or remove any that look suspicious. Firefox users can find this list at Menu > Add-ons. You might know when you have malware on your PC 4 Security Misconceptions That You Need To Realize Today 4 Security Misconceptions That You Need To Realize Today There is a lot of malware and online security misinformation online, and following these myths can be dangerous. If you've taken any as truth, it's time to get the facts straight! Read More , but it could also be silent. A good antivirus scanner should catch most viruses and other nasty infections before they can get on your system, but a second opinion from an anti-malware scanner never hurts. On Windows, nothing beats Malwarebytes. Install the free version to scan for malware of all kinds and remove it with just a few clicks. Mac users don’t need a dedicated antivirus Here's The Only Mac Security Software You Need Here's The Only Mac Security Software You Need For most people, OS X is fairly secure out of the box — and there are a number of programs out there that potentially do more harm than good. 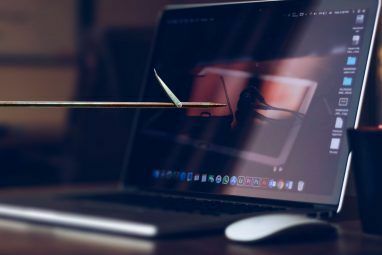 Read More unless they make stupid mistakes 5 Easy Ways to Infect Your Mac With Malware 5 Easy Ways to Infect Your Mac With Malware You might think it's pretty difficult to infect your Mac with malware, but there are always exceptions. Here are five ways you can get your computer dirty. Read More , but there’s nothing wrong with a quick Malwarebytes for Mac scan if you want confirmation. If you find something particularly aggressive, try a more powerful malware removal tool Easily Remove Aggressive Malware With These 7 Tools Easily Remove Aggressive Malware With These 7 Tools Typical free anti-virus suites will only be able to get you so far when it comes to exposing and deleting malware. These seven utilities will weed out and remove malicious software for you. Read More . Lots of websites allow you to sign in with another account’s credentials, usually Facebook or Google. While this is convenient since you don’t have to remember a separate login, having all those sites connected to one account is a bit worrying. That’s why you should review which sites and apps you have connected to your core accounts. Check your Google apps by visiting Google’s My Account page, then click the Apps with account access in the Sign-in & security box. Click Manage Apps in the resulting panel to view them all. Take a close look at these, especially if you’ve used a Google account for a long time. You should revoke access to apps you no longer use, and review the access that current apps have. Click an entry then hit the Remove Access button to toss it. Facebook has a similar panel. Visit the Facebook Settings page and click the Apps link on the left sidebar. You’ll see apps and websites that you’ve used your Facebook account to log into How to Manage Your Third-Party Facebook Logins [Weekly Facebook Tips] How to Manage Your Third-Party Facebook Logins [Weekly Facebook Tips] How many times have you allowed a third-party site to have access to your Facebook account? Here's how you can manage your settings. Read More — click Show All to expand the list. Each app lists which audiences can see content shared from those apps. Click one for detailed permissions, showing what exactly that app can access. You can remove some permissions or click the X icon over an app to remove it from your account. If you want to completely disable this functionality, click the Edit button under Apps, Websites and Plugins and choose Disable Platform. You may also want to review apps you’ve connected to your Twitter account. Visit the Apps tab of your Twitter Settings to view them all. Click Revoke Access to remove any that you don’t use anymore. It’s no secret that two-factor authentication (2FA) is one of the best ways to add more security to your accounts. With it enabled, you need not only your password but a code from an app or text message to log in. While it’s not a perfect solution 3 Risks and Downsides to Two-Factor Authentication 3 Risks and Downsides to Two-Factor Authentication Two-factor authentication use has exploded over the last decade. But it isn't perfect, and can come back to haunt you if you aren't careful. Here are a few overlooked downsides. Read More , this prevents malicious access to your accounts even if someone steals your password. The process to enable 2FA differs a bit for each service. 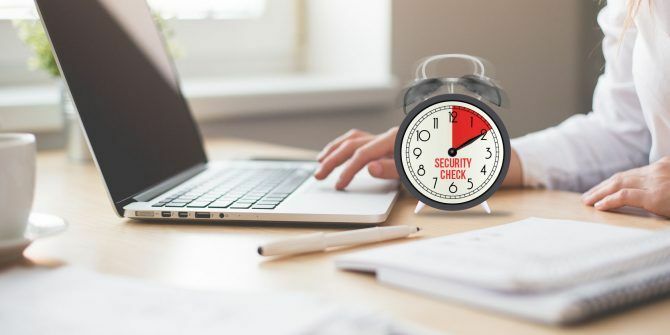 To get you on your way, we’ve covered how to lock down the most important services with 2FA Lock Down These Services Now With Two-Factor Authentication Lock Down These Services Now With Two-Factor Authentication Two-factor authentication is the smart way to protect your online accounts. Let's take a look at few of the services you can lock-down with better security. Read More . Then, enable 2FA on your social accounts How to Set Up Two-Factor Authentication on All Your Social Accounts How to Set Up Two-Factor Authentication on All Your Social Accounts Let's see which social media platforms support two-factor authentification and how you can enable it. Read More and gaming accounts How to Enable Two-Factor Authentication for Your Gaming Accounts How to Enable Two-Factor Authentication for Your Gaming Accounts Two-factor authentication provides an extra layer of protection for online accounts, and you can easily enable it for your favorite gaming services. Read More to keep them safe. We recommend using Authy as your authenticator app, as it’s better than Google Authenticator The 5 Best Alternatives To Google Authenticator The 5 Best Alternatives To Google Authenticator To improve the security of your online accounts, you'll need a good two-factor authentication app to generate the access codes. Think Google Authenticator is the only game in town? Here are five alternatives. Read More . Another tool that several sites offer lets you see what devices have logged into your account recently. Some will even send you a text or email when a new device logs in. You can use these to make sure that you know right away if someone else breaks into your account. For Google, head to the Device activity & security events section of your account settings. You’ll see Recent security events showing new recent sign-ins and Recently used devices. Click Review Events for both and make sure you recognize all devices and activity. By default, Google will send you an email whenever a new device signs into your account. Select an event or device to get more info on it. Clicking an event will show you its IP address and approximate location. If a device hasn’t had any Google account activity in 28 days, you can click Remove to revoke its access. Running through Google’s security checkup What Does Google Know About You? Find Out and Manage Your Privacy and Security What Does Google Know About You? Find Out and Manage Your Privacy and Security For the first time, search giant Google is offering a way for you to check the information it has about you, how it is gathering that data, and new tools to start reclaiming your privacy. Read More can help you review other important information while you’re here. To check this on Facebook Secure Your Facebook With These 6 Simple Tricks Secure Your Facebook With These 6 Simple Tricks Facebook can be pretty scary when it comes to security, but with a few minutes and the right tools, you can keep your account rock-solid. Read More , visit the Security and Login tab of your account settings. Check the top Where You’re Logged In section and click See More to everywhere you’re logged into Facebook. Click the three dots next to an entry to Log Out or select Not You? if you suspect foul play How to Check if Someone Else Is Accessing Your Facebook Account How to Check if Someone Else Is Accessing Your Facebook Account It's both sinister and worrisome if is someone has access to your Facebook account without your knowledge. Here's how to know if you've been breached. Read More . Also on this page, ensure you have Get alerts about unrecognized logins enabled. This will alert you by text and/or email when a device logs into your account. Finally, check your Twitter active session on the Your Twitter data settings page. Scroll down to Your Devices and Account access history to see where you’ve recently logged in. You may have noticed several of these tips revolve around your most important accounts (Google, Facebook, Microsoft) and they’re the most important because an attacker could do the most damage with them. If someone got into your email 5 Ways Your Email Address Can Be Exploited By Scammers 5 Ways Your Email Address Can Be Exploited By Scammers Read More , they could use the “forgot password” reset links on other sites and change any password that was linked to your email. Would you like it if someone was snooping on your home network? Certainly not. You hopefully have a strong password on your router How to Configure Your Router to Make Your Home Network Really Secure How to Configure Your Router to Make Your Home Network Really Secure Default router settings put your network at risk, allowing freeloading strangers to squeeze nadwidth and potentially commit crimes. Use our summary to configure your standard router settings to prevent unauthorized access to your network. Read More so unauthorized people can’t connect. It’s worth a quick check to make sure that your neighbor didn’t figure out your password How to Secure Your Wi-Fi and Stop Neighbors Stealing It How to Secure Your Wi-Fi and Stop Neighbors Stealing It If your Wi-Fi SSID is being broadcast to the surrounding houses, there is a chance your internet is being stolen. 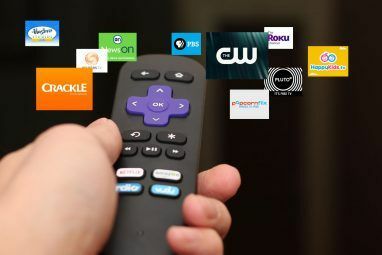 Find out how to stop this from happening and keep control of your bandwidth. Read More or something. Follow our guide to checking your network for suspicious devices How to Check Your Wi-Fi Network for Suspicious Devices How to Check Your Wi-Fi Network for Suspicious Devices Are you worried that strangers or hackers might be on your Wi-Fi network? Here's how you can check and how to do something about it. Read More to do this. While you’re at it, you should test your home network’s security with free tools How To Test Your Home Network Security With Free Hacking Tools How To Test Your Home Network Security With Free Hacking Tools No system can be entirely "hack proof" but browser security tests and network safeguards can make your set-up more robust. Use these free tools to identify "weak spots" in your home network. Read More to see how secure it is. Did Your Checks Unearth Any Issues? Congratulations, you’ve just run through ten important security checks. They might not be fun or glamorous, but the steps you’ve taken with these will go a long way in keeping you safe. Now all your devices are updated, you know exactly what apps can access your accounts, and you’ve eliminated weak links in your security chain. That’s a big deal! Unfortunately, none of these steps can help protect from corporate incompetence like with the Equifax breach. Learn what happened there Equihax: One of the Most Calamitous Breaches of All Time Equihax: One of the Most Calamitous Breaches of All Time The Equifax breach is the most dangerous, and embarrassing, security breach of all time. But do you know all the facts? Have you been affected? What can you do about it? Find out here. Read More and what you should do to protect yourself. Which of these checks are the most important to you? What other quick checks are important? Tell us in the comments! Be aware of current risks such as the KRACK vulnerability, you should do a session on learning to keep up to date on applying new skills to protect thyself from new threats. I try to change my passwords on a regular basis, and also use different passwords for different accounts, at least the important ones like online banking.